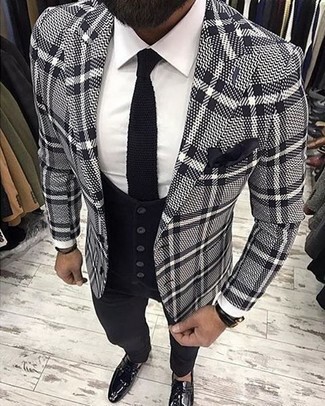 For a casually elegant getup, rock a black waistcoat with black skinny jeans — these two items the place of work really well together. 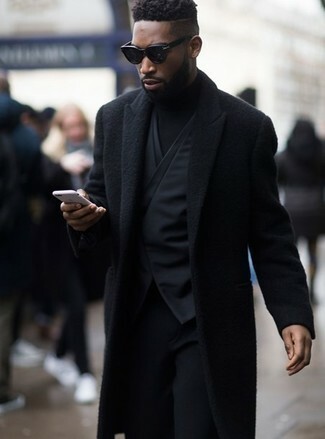 For a nothing less than incredibly stylish outfit, go for an Ann Demeulemeester classic waistcoat and black wool dress pants. 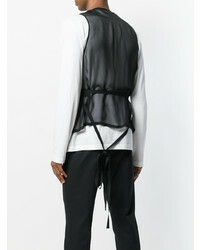 Pair an Ann Demeulemeester classic waistcoat with black dress pants for a sharp, fashionable look. 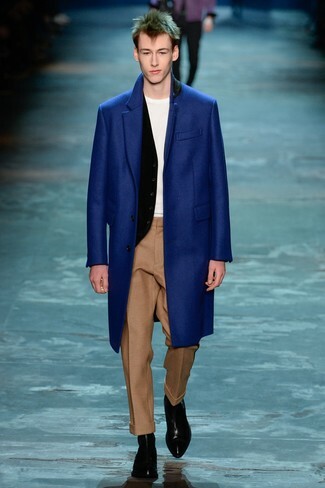 Rock an Ann Demeulemeester classic waistcoat with khaki wool dress pants for incredibly stylish attire. Make black leather chelsea boots your footwear choice to make the look current. 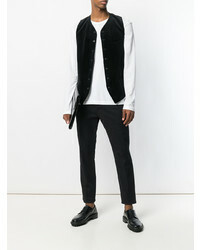 Wear an Ann Demeulemeester classic waistcoat with black dress pants for a sharp, fashionable look. For something more on the daring side to finish off this ensemble, make black leather derby shoes your footwear choice. 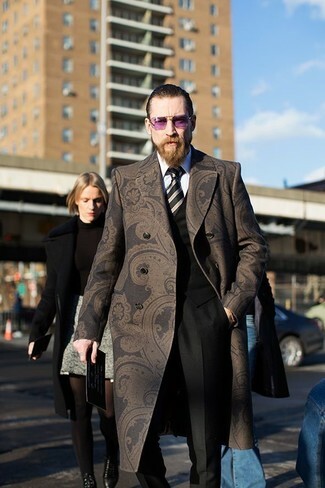 Contrary to what you might believe, ensembleing dapper doesn't require that much effort. 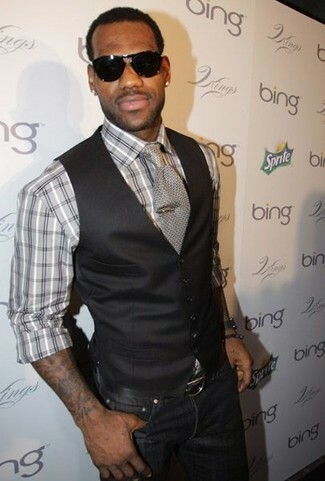 Just team a black waistcoat with white skinny jeans and you'll look awesome. 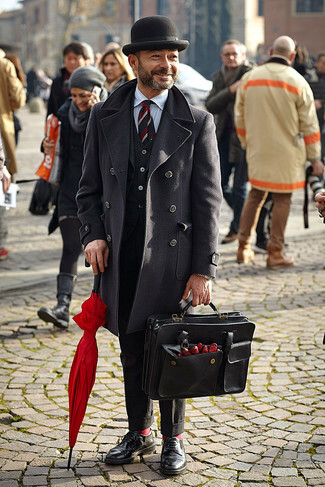 When it comes to shoes, this look is finished off wonderfully with dark brown leather tassel loafers. 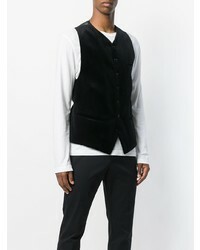 Go for an Ann Demeulemeester classic waistcoat from farfetch.com and charcoal chinos for a sharp classy look. Rock a pair of brown leather casual boots to make the outfit current. 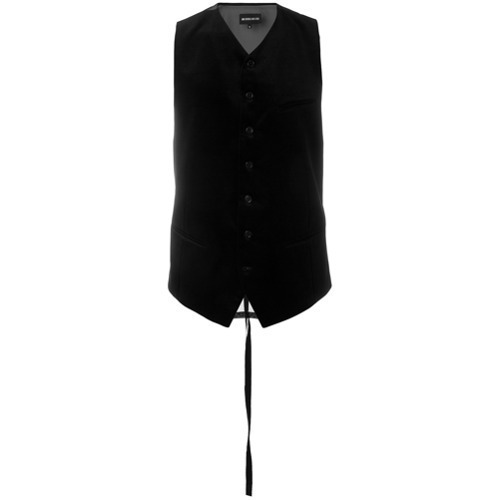 For a nothing less than incredibly stylish ensemble, rock an Ann Demeulemeester classic waistcoat with black dress pants. Go for a pair of black leather loafers to make the look more current. For a nothing less than incredibly stylish ensemble, try pairing an Ann Demeulemeester classic waistcoat with black dress pants. 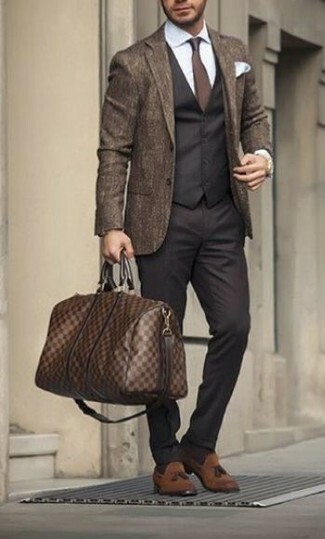 Choose a pair of brown suede tassel loafers to make the getup current.